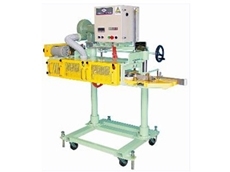 Bagging machines such as bag sealers, bag closers and sewing machines improve bagging performance. Kameo Ind Pty Ltd operates as a family business specialising in portable heavy duty bag closing machines and related equipment. Kameo are distributors of Newlong. Kameo Ind Pty Ltd is also a leading supplier of Bag Closing Thread.